The study of the Classics — the cultures of ancient Greece and Rome, especially their languages — has always had a special place at Gonzaga. From the school’s earliest days, when students were expected to arrive already knowing the fundamentals of Latin and Greek, until today, when record numbers of students are choosing a major in the field of Classical Civilizations, the Classics at Gonzaga have stood the test of time. The exhibition cases show the ebb and flow of Classics at Gonzaga. Early on, Gonzaga included a high school and college at which all students were required to take Latin and Greek. In later years, the University found itself with comparatively few professors who taught those languages. Nevertheless, as a Jesuit institution, the school has always understood the centrality of the Classical tradition to Jesuit and, more broadly, Western education. 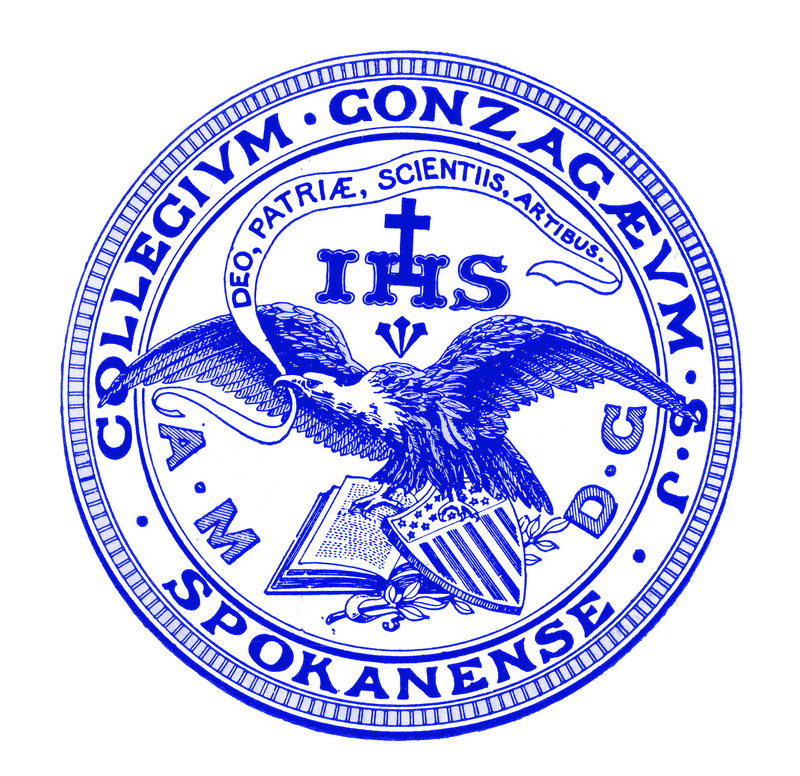 As the school’s original seal reminds us, Gonzaga University was founded as Collegium Gonzagaeum Spokanense — Gonzaga College, in Latin. Indeed, collegium is a highly appropriate term to describe this exhibit, since it can also mean a group of colleagues, individuals working together with a common interest or goal. Such a fellowship describes the study of Classics at Gonzaga. The exhibition cases show evidence of those individuals — students, faculty, and staff — from across Gonzaga’s history who have all worked to further Classical studies. One will see their hard work, the fruits of their labors, and their good times. Texts from the past and present are on display, both those used here and those created here. Through their writings and pictures you will come to know some of the members of Gonzaga’s Classical collegium. Another benefit of the perennial interest in the Classics at Gonzaga is the outstanding collection of texts related to the study of ancient Greece and Rome that can be found in the Gonzaga University Rare Book Collection at Foley Library. Some of the oldest and finest volumes from that collection are on display in this exhibition. Objects of ancient material culture also form part of this display. On display are ancient coins on loan courtesy of the Permanent Collection of the Jundt Art Museum at Gonzaga University, and a 1st century AD Roman glass vase from the Foley Library collection. The exhibit coincides with the meeting of the Classical Association of the Pacific Northwest in Spokane. This conference will be hosted by the Classics Department on March 11 -12, 2011. This exhibit is primarily the work of the following students majoring in Classical Civilizations: Brian Joyce, Leah Marley, Johnny Palmer, Tony Pierucci, Sydney Taylor and Brittany Taylor, and with assistance from the following Classical Civilizations faculty: Dr. Andrew Goldman, Dr. David Oosterhuis, Fr. Fredric Schlatter, S.J., and Fr. Kenneth Krall, S. J. Stephanie Plowman, Gonzaga Special Collections Librarian, provided further assistance.